September 16-18 was the fifth annual Flyboard World Cup Championship. It took place at Sugden Regional Park in Naples, Florida. This was the first year that the competition was held in the United States. This was also the first time that the sport was broadcasted on television. The finals were covered by CBS Sports. Additionally, Pro Watercross live streamed the last two days of the competition. 42 athletes put together routines for the judges. Each contestant had to perform some type of rotation, spin, dive, and backflip combo. Every year, competitors push the limits, adding more flips and bigger stunts! One of our own team members was a competitor this year! Paul Bulka represented Aquatic Aviation. Paul has been flying since the beginning of the sport and started the first Flyboarding company in the United States. Congratulations to the winners of the 2016 Flyboard World Cup! In the Ladies category, congratulations to Kristen Smoyer from the United States. In the Veteran’s category, we had Todd Sawisch from the United States. In the Pro Division, first place went to Suksan Tourunen from Thailand. This is Suksan’s third time coming in first. If you missed it, here is the footage from the semi-finals and finals on Sunday. Iris spreads awareness for breast cancer in the Flyboard community. During the world cup, she and the Flyboard family raised $2,206 for “Making Strides Against Breast Cancer Naples.” After her radical masectomy, she changed her lifestyle by eating well and exercising. That was when she found Flyboarding. “When I Flyboard, I feel like I am floating on a cloud of water. Like I am one with Dolphins. I am fearless!! !” She rode professionally and now encourages other riders to “Fly Pink.” Check out her Facebook page here. 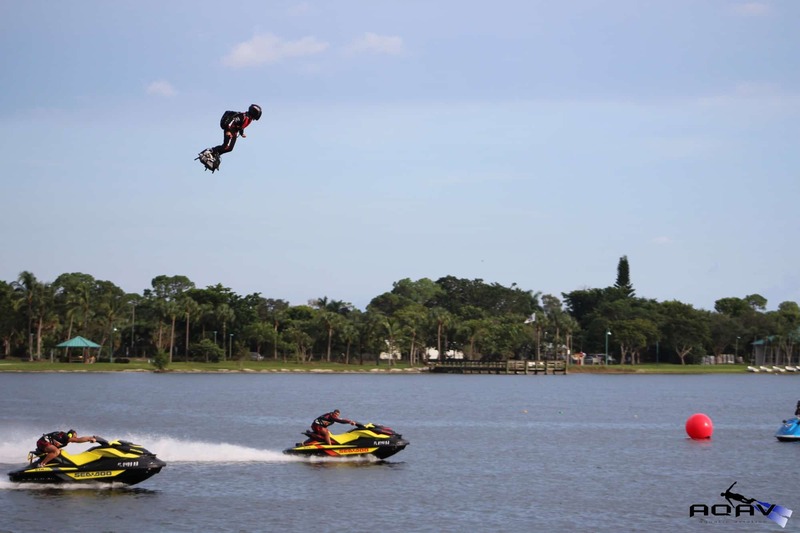 Franky Zapata shocked everyone by demonstrating his new Flyboard Air. This is the first time that the Flyboard Air has been flown in the United States. He flew several meters above the water, racing past jet skis and waving to the crowd. Want to read more about the Flyboard Air? Check out our last blog post containing information on the personal aviation device and what it means for the future of transportation. Thank you Zapata Racing and Pro Watercross for putting on such an amazing event. We are so happy to be a part of this growing sport.